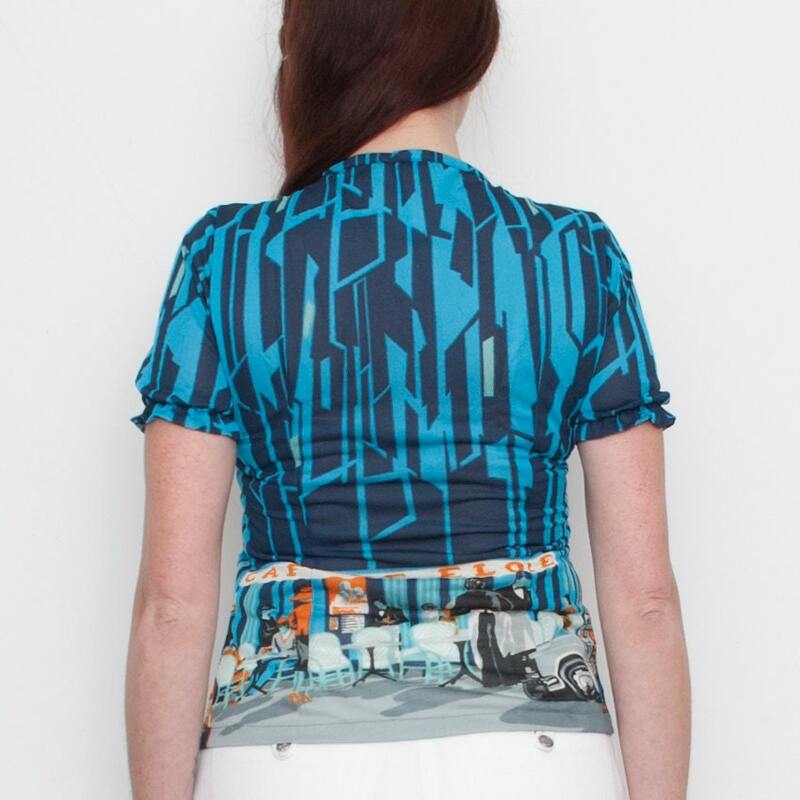 1970s Blue printed blouse tshirt for a breezy, summery look with a hint of nostalgia. It says Cafe de Elore and represents a parisin cafe with waiters and customers. Zoom in to see the details. Drats on the bust and puffed sleeves with elastic bands. It has no composition tags but it might be a syntetic fiber. Fits as either an S or an M depending on how you would like the garment to fit, it has some stretch. The charges for the delivery of this item include 100gr up to 500gr. If you order several items that together don't exceed this weight you will only be charged once. For example: this top and 1 skirt and 1 bikini would weigth 450grms aprox. You can also share with a friend and split the shipping cost!